The Victorian era was unique in many ways. In England it was the reign of Queen Victoria, for whom the era is named. 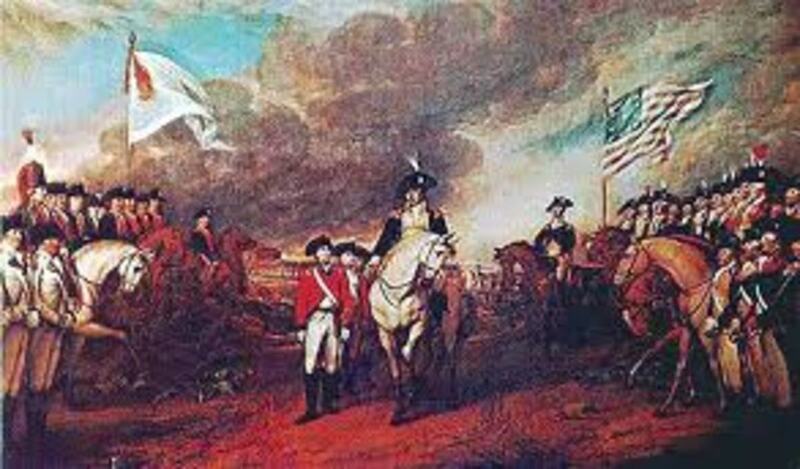 In the United States, it saw the horrific events of the Civil War. Many new and wondrous things were being invented, marketed, and changing everyday life in ways never before imagined, and at a rapid pace. A parade of seemingly magical inventions from the steam locomotive to the safety pin were radically transforming a way of life that had been largely unchanged for centuries. While many of the day's inventions were beyond the reach of the poorest in society, more and more modern conveniences were infiltrating even the homes of those on the lowest rungs of the ladder. One of these was the new art of photography. 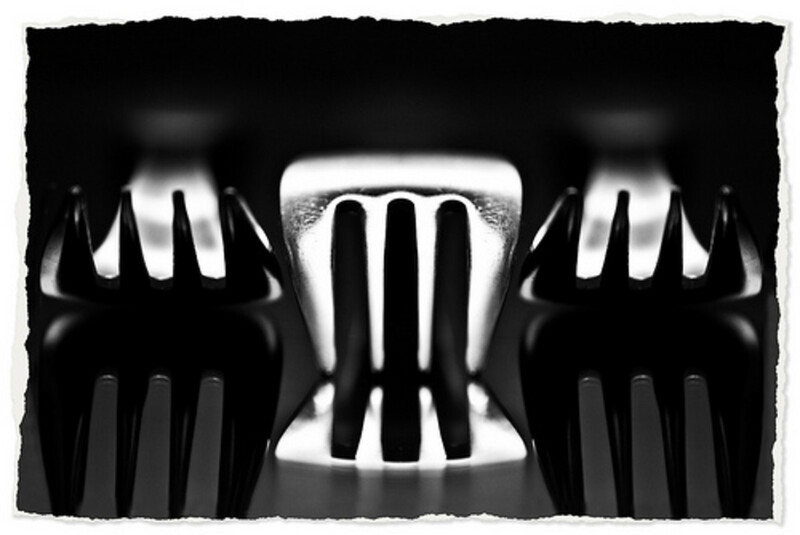 Though a session with a photographer would have been well beyond the means of common folk when it was first invented, by the 1860's the development process had evolved to make photographs affordable for almost everyone. Why did people take photos of their dead loved ones? It seems macabre and even disrespectful of the dead to us today, but attitudes and beliefs about death were quite different in the Victorian age. For one thing, death was far more frequent an event in those days, particularly among the very young. Infant mortality was very high, and young people also died from virulent contagious diseases such as tuberculosis, cholera, typhoid and polio. In addition, there were few hospitals in common use at that time, particularly not for the average person. Almost everyone died at home in their own bed. The science of embalming and the emergence of funeral services was still several decades away. Families washed the bodies of their own dead and dressed them for burial at home. The pervasiveness and up-close nature of death during Victorian times meant that people were less repulsed by it than many today seem to be. It was a common reality of life then, and looked upon with much more of a resigned acceptance, though grief was, of course, just as keenly felt. With this outlook on the passing of a loved one, it seemed perfectly natural to the Victorian mind to photograph the deceased before burial, after which they would never see that face again. For most, it would be the first and only photograph ever taken of them, and many families jumped at the chance to create this cherished memento of their family member. Why didn't they take photos while the loved one was alive? Well, prior to individuals owning their own cameras, only a photographer could take a photo for you. This involved making an appointment and getting family members together for the event. As people have done throughout the ages, they procrastinated. Photographs were simply put off a lot of times with the thought that "someday" they'd get everyone together to have one done. When faced with the death of a child, for example, the parents might grasp at the prospect of preserving their child in a portrait; a portrait that would never be taken at their wedding or with children of their own. While many of these photographs were taken of the deceased on their death bed in a position of repose, or in the coffin itself, families often wished to be photographed along with their beloved deceased. It is this practice that seems so strikingly odd to us today. But consider that this was likely the only photograph the family would have of their family member, and it can be more easily understood that they often wanted that one photograph to reflect their relationship to the deceased. 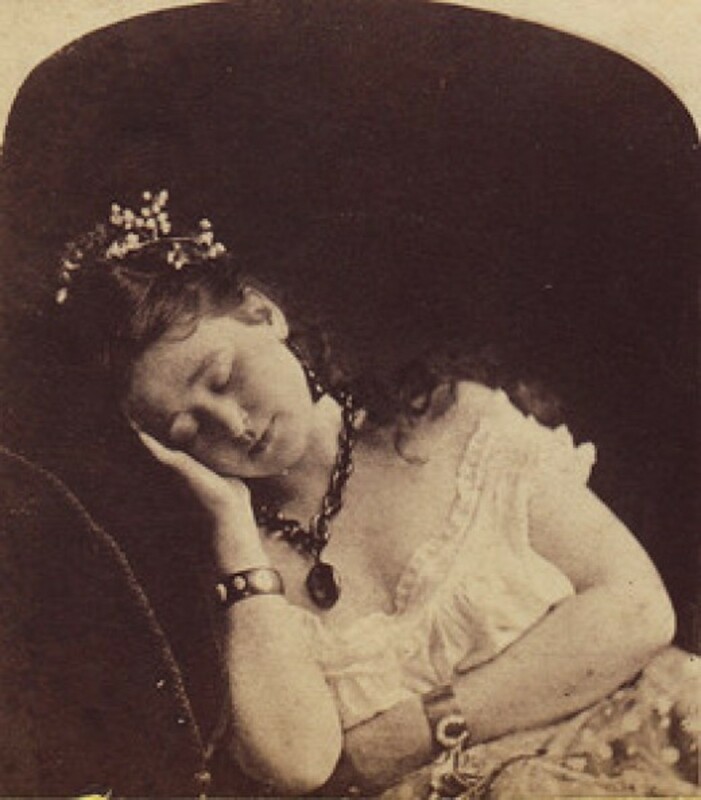 These photographs were also known as mourning photos, and it can be imagined that the pictures were part of the mourning process for the surviving family. 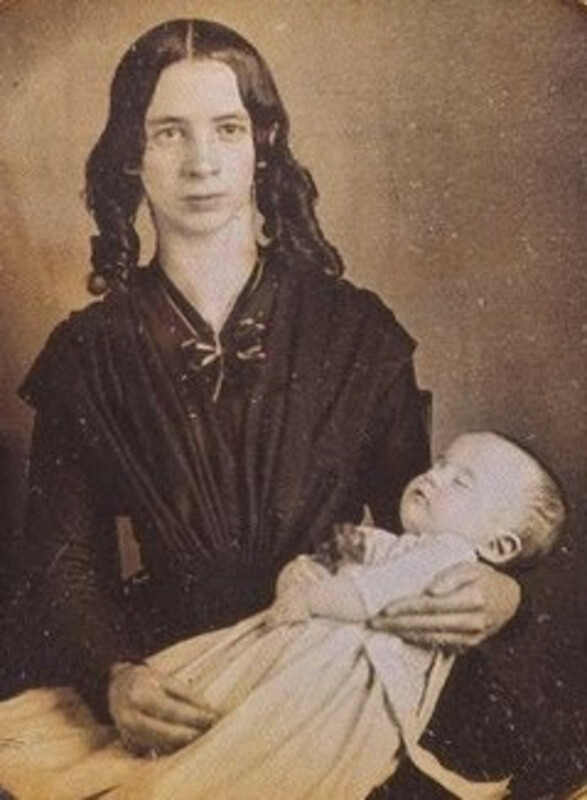 It is not difficult to imagine the desire of a mother to be photographed, lovingly cradling her dead infant. The grief of this young mother is clearly seen as she sits for a portrait with her deceased baby. As a means of working through intense grief, the photos also served an important function. From there, it might be understandable to want a dead child to be included in a family photo with the other children, since the family would never again be "whole". These are some of the thoughts behind family oriented post-mortem portraits. 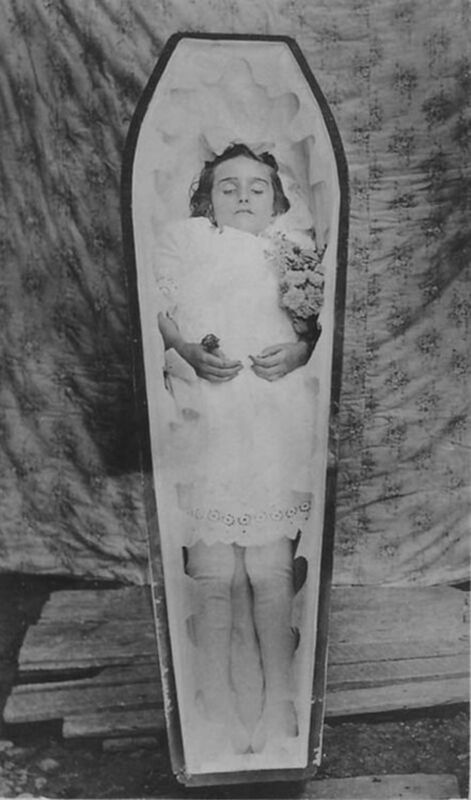 Many of these portraits left the deceased with eyes closed as in death, but some attempted to make the child appear to be living. 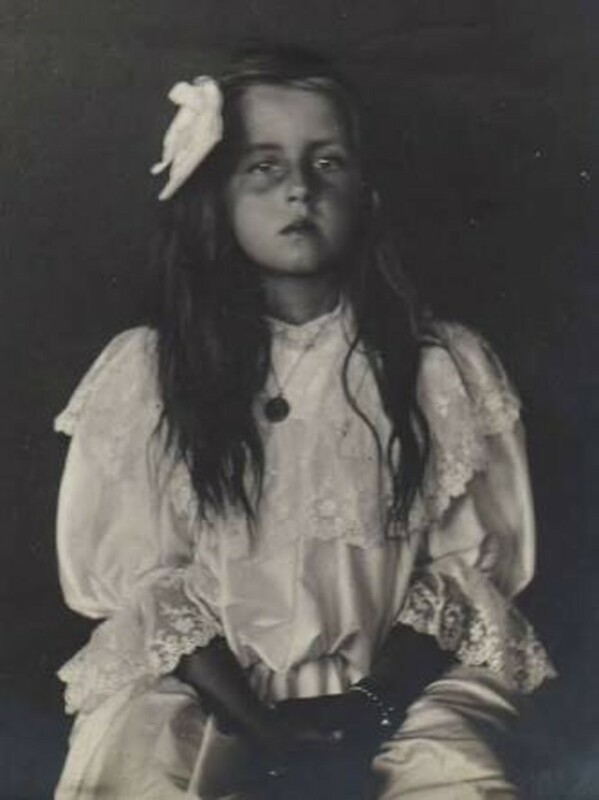 Aside from the family centered photographs, there were other types of poses that were frequently chosen, such as a child surrounded by her toys, or the deceased standing or sitting as if alive. In many of these, rather than presenting the deceased as if they are in the slumber of death, they attempted to make them appear as though still alive, even using pink tincture to colorize the sallow cheeks of the dead subject. These photographs are perhaps the most disturbing to us today, but in the 1800's they were nothing out of the ordinary, but reflected the love for the individual who had been lost and the heartbreaking wish that they might live on forever in their portrait. Sadly, and most disturbingly of all, there were times when the photographer couldn't make an appointment close enough to the death for the subject to still look life-like. Why the family still went through with the portrait is perhaps questionable, because the resulting photographs are macabre indeed and hardly seem as though they would make a fond memento for loved ones to cherish! The child below was posed and appears to be quite alive. Often they would tie the child around the torso under the clothing to the chair or other furnishing to hold them erect. 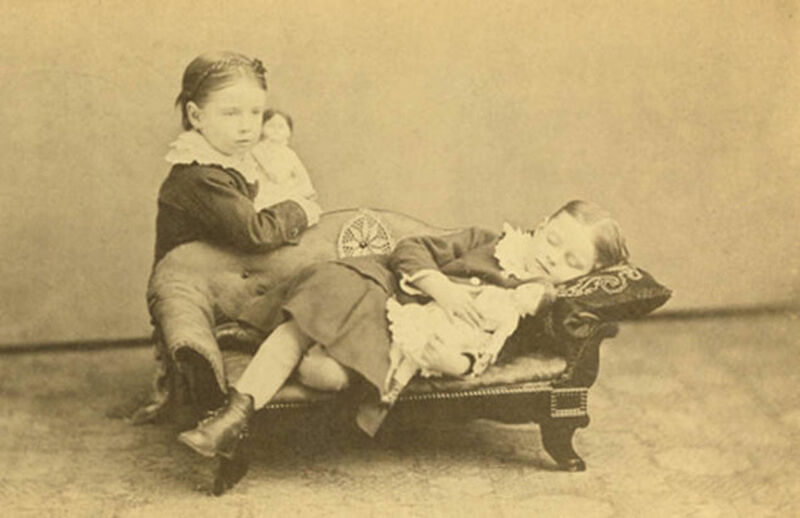 What Are Your Thoughts on Post-Mortem Photography? What do you think of these mourning photographs? They are disrespectful to the dead. 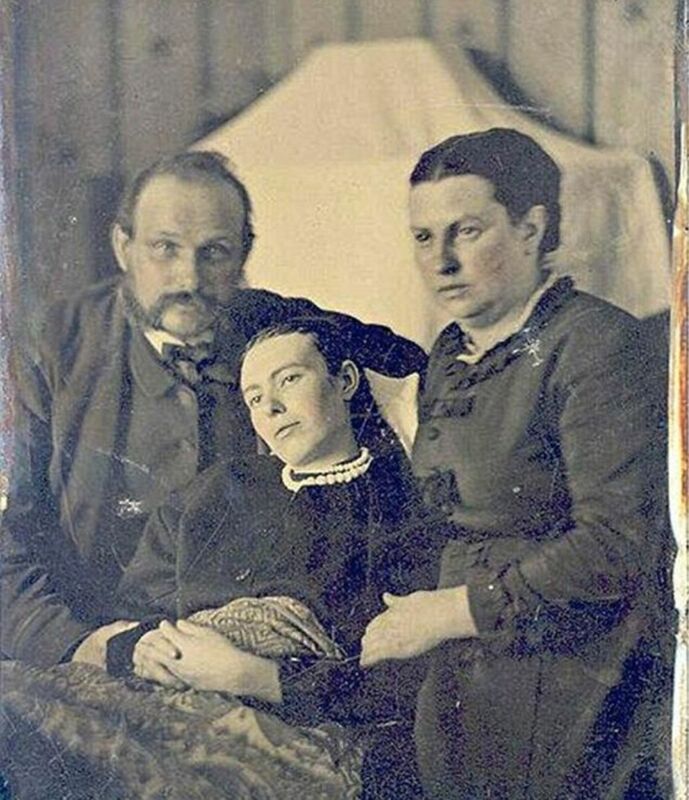 By the start of the 20th century, the practice of taking post-mortem portraits was fading. 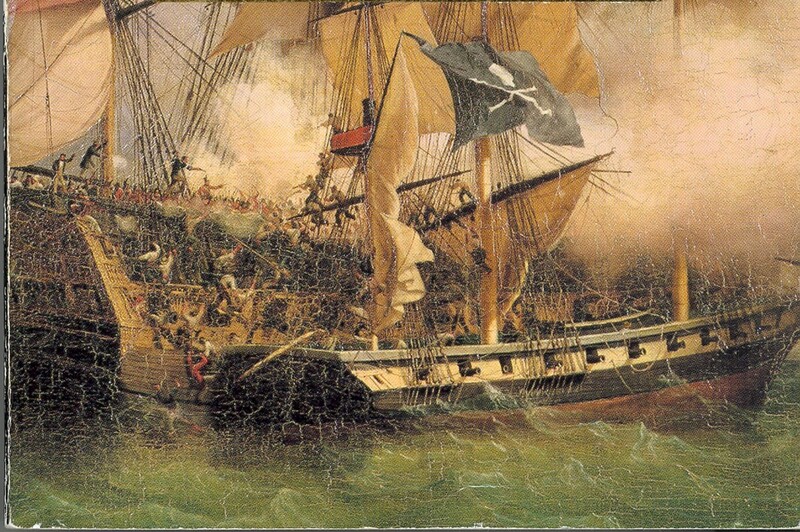 This was due to the burgeoning undertaking and funeral home business which whisked the deceased from the home soon after death, and also to the fact that people were beginning to own their own cameras and so it was less and less likely that no living photograph of the deceased had been taken. Yes, post-mortem photography was a strange and macabre aspect of Victorian life. But if thought of in terms of an expression of love and a way to manage grief at a time when grief over a loved one's death was so very common, it can be understood and even appreciated. For its time it served a purpose, and we have today the haunting photographic evidence of loss and remembrance in this very unique and poignant practice. It was, Deb, until the latter half of the 19th century, when it became much cheaper due to innovations in photo development. All, except for the very poor, could afford to have a photographer come for a post-mortem portrait. Fascinating, isn't it! I had no idea that this practice even existed, so I thank you in enriching my knowledge. When one considers that fact that photography was a rich man's pleasure, I can see why this came about. Hi Anjili, thanks for stopping by! Yes, in England and in America! Strange practice, for sure, but it was surprisingly common! That was a rather strange practice. Familiarity with death makes it less creepy to the living. 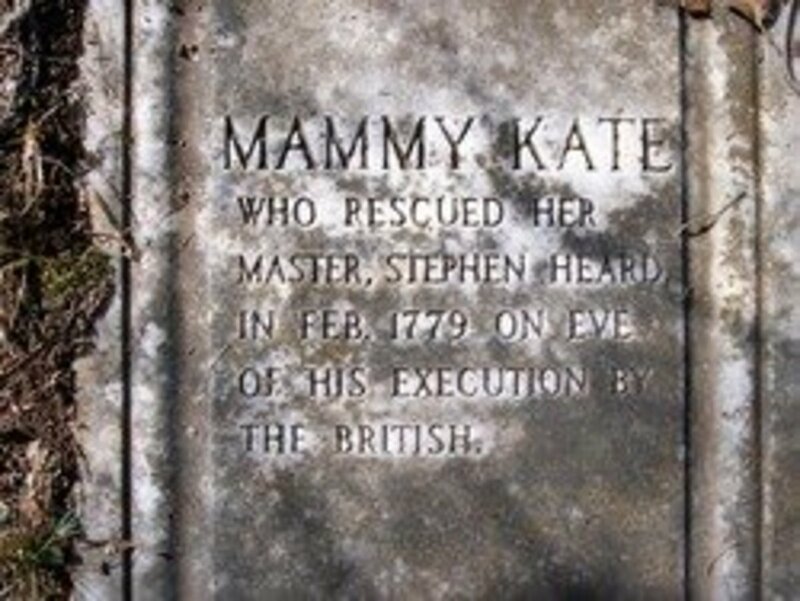 I didn't know such a practice was norm in England during old times.